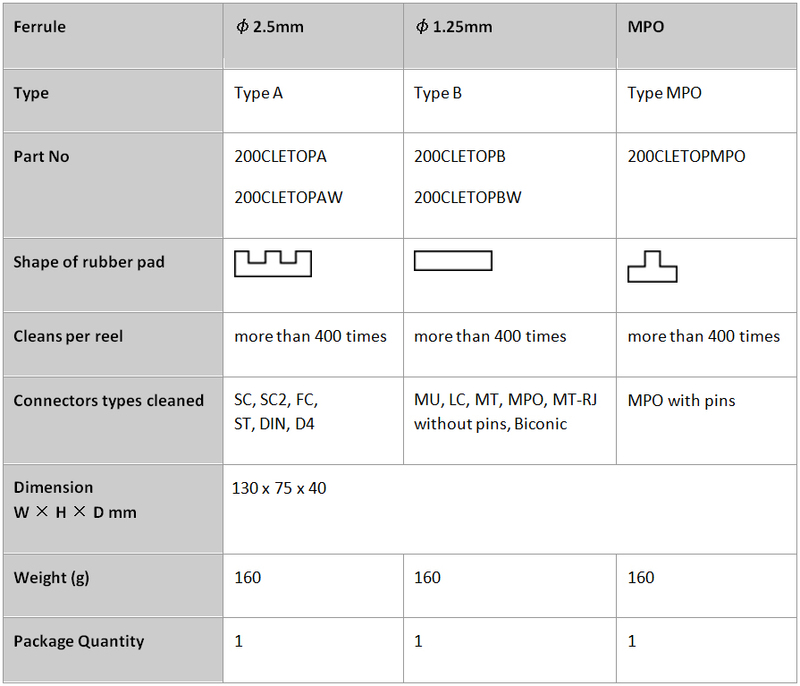 Cletop Original Reel Type A and Cletop Type B fibre optic connector cleaners differ by the shape and density of the rubber pad below the tape. Also the tape opening size differs. This is to ensure the cleaning tape has full contact with the connector surface and to prevent the tape from tearing when pressure is used on the connector.